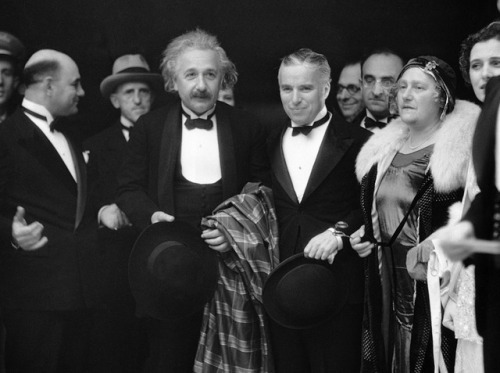 Charlie Chaplin attends the premiere of his newest film City Lights in Los Angeles, accompanied by Albert Einstein, and his wife, Elsa Einstein. February 2, 1931. The Polish 1st Infantry Division heads towards the front, Summer 1943. 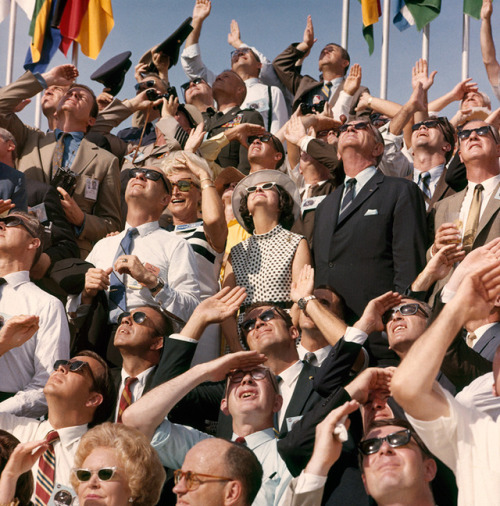 President and Mrs. Johnson and Vice President Agnew watch Apollo 11 lift off at Cape Canaveral, 1969. 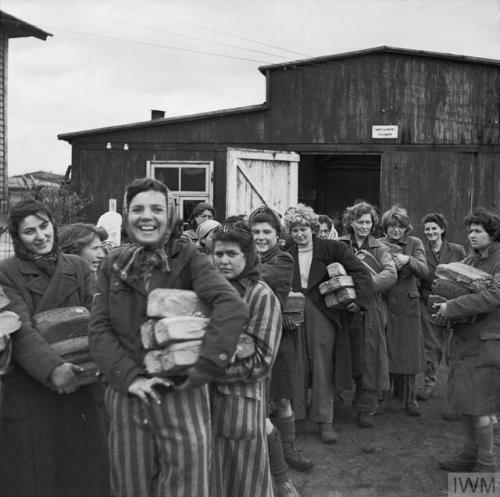 The Liberation of Bergen-belsen Concentration Camp: women inmates collect their bread ration from one of the five camp cookhouses / 1945. 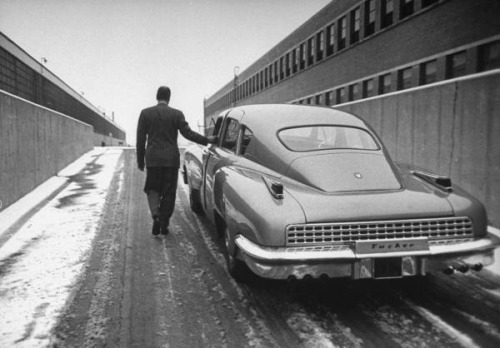 Automotive designer Alex Tremulis walking alongside his Tucker 48 Sedan,1948. 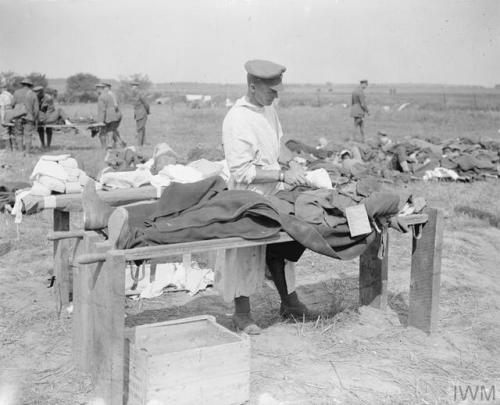 A British surgeon at work in the open air at a dressing station near Le Quesnel, 11th August 1918, during the Battle of Amiens. 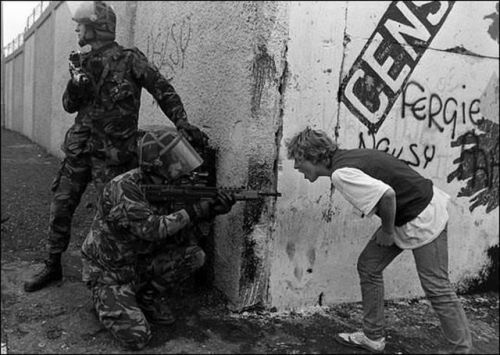 An Irish teenager yells at British soldiers during unrest in Northern Ireland / Circa 1985. 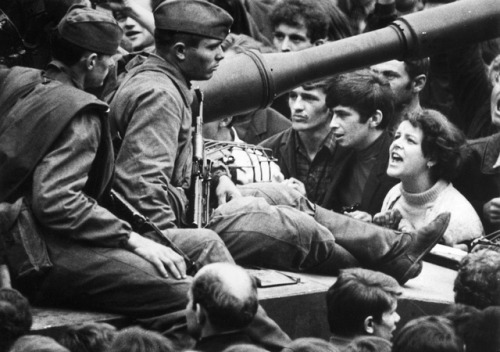 Czech woman yelling “Ivan go home!” to an occupying soldier sitting on a tank in the streets of Prague - Aug 26, 1968. 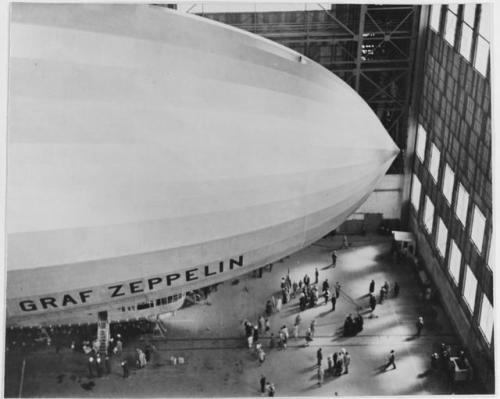 German commercial airship GRAF ZEPPLIN in an airship hangar during the 1920s or 30s. Location unknown. 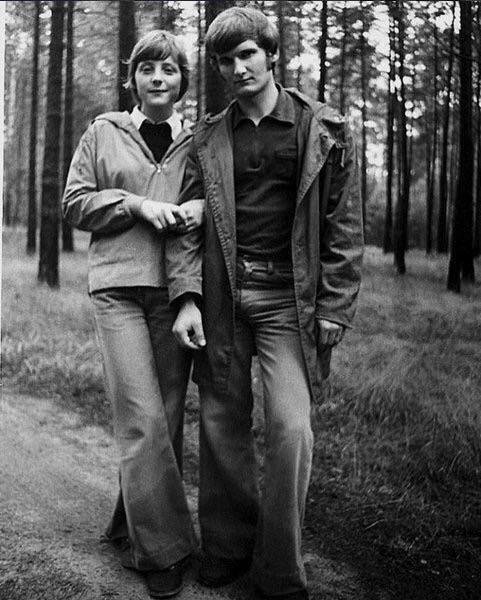 A young Angela Merkel and her first husband, Ulrich Merkel / 1975. 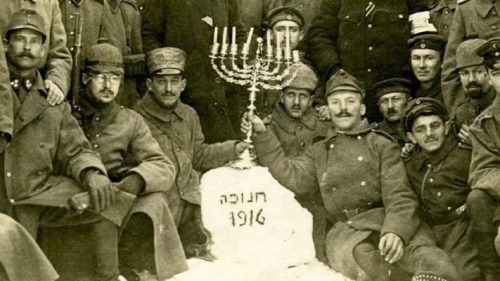 Jewish soldiers of the German Army celebrating Hanukkah during WWI, 1916. 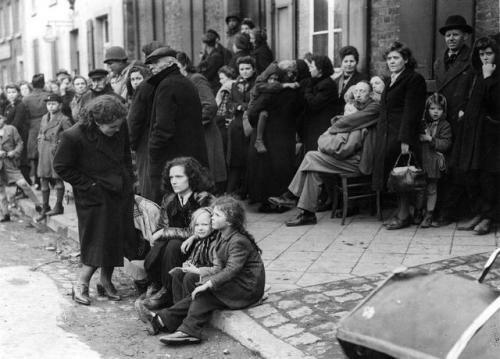 German refugees crowding the market square at Jüchen, Germany, a town captured by the US Army at the end of the Second World War, 3rd March 1945. 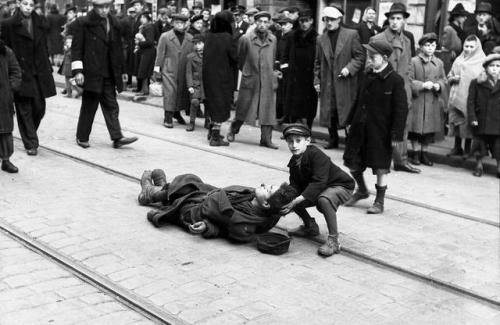 A Polish Jewish boy lifts the head of a deceased young man who collapsed from starvation and died along the tram lines in the Warsaw Ghetto. Poland, 1942. 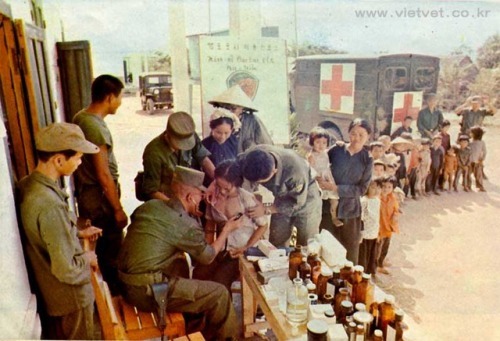 Republic of Korea MASH unit provide medical assistance to Vietnamese villagers / 1968. 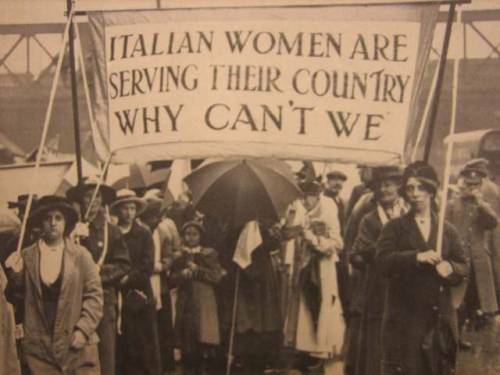 English women protesting their governments stance on refusing to allow them to serve in WWI in 1915 after news had spread that other countries including Italy and Russia had already allowed women to serve in the war effort / 1915. 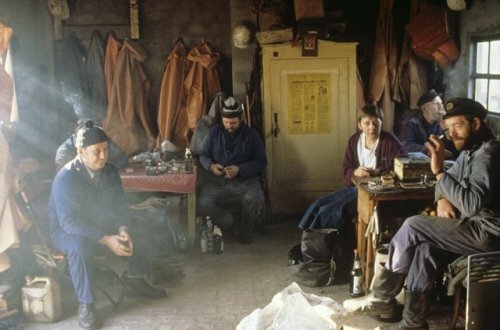 Young Angela Merkel having a Schnaps with fishermen on the island of Rügen during her first MP campaign in summer of 1990. 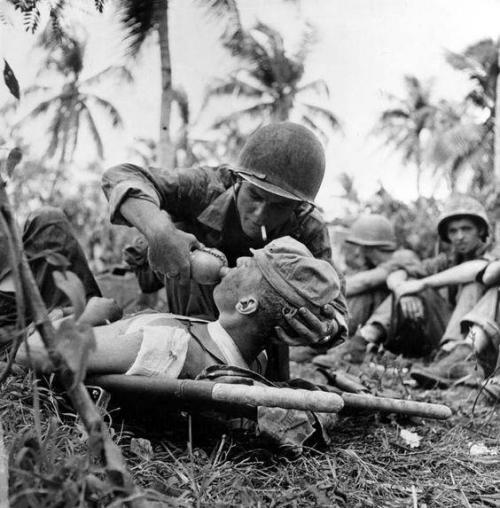 A Navy Corpsman lifts the head of a wounded Marine to give him a sip of water from his canteen as other soldiers relax during a pause in fighting on Guam Island, in the Marianas, in August of 1944. 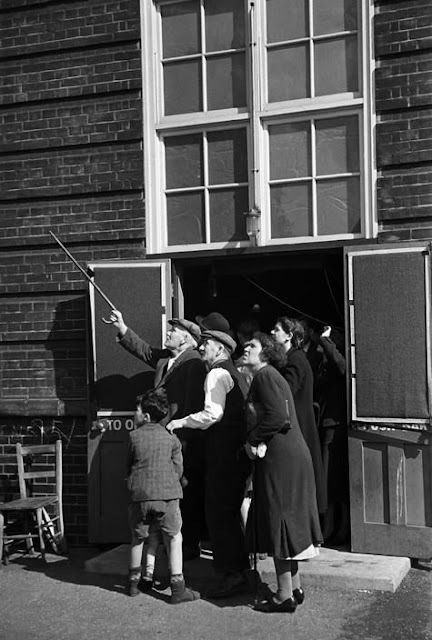 People at entrance of a public shelter watch enemy planes during a daytime raid in London during The Blitz of World War II in 1940. A 25 year old Joseph Stalin stands (top center) with other convicts in Kutai, Georgia of the Russian Empire 1903. 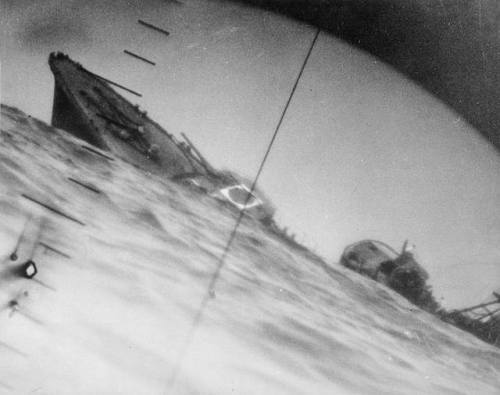 The torpedoed Japanese destroyer Yamakaze, as seen through the periscope of an American submarine, USS Nautilus, in June 1942. 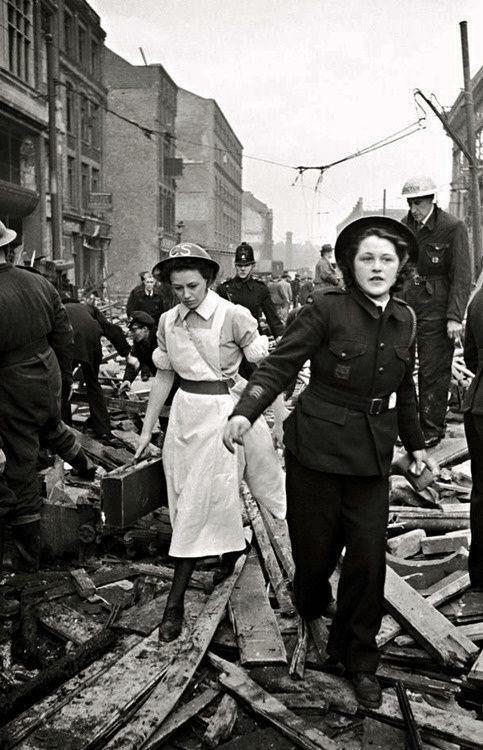 Members of the British Ambulance Corps arrive after a V2 rocket strike on London, 1945. 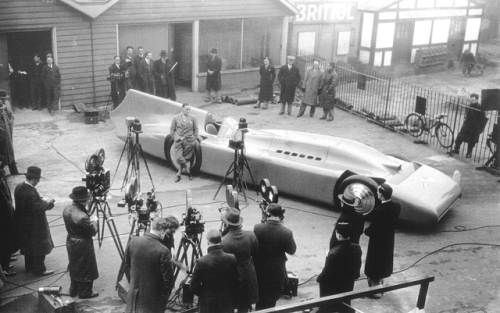 Campbell-Railton Blue Bird, built by Sir Malcolm Campbell. It is powered by a 37 liter supercharged Rolls-Royce R V12 capable of producing about 2,800 horses. On Sept. 3, 1935 on the Bonneville Salt Flats of Utah, he became the first person to reach 300mph behind the wheel of this automobile. 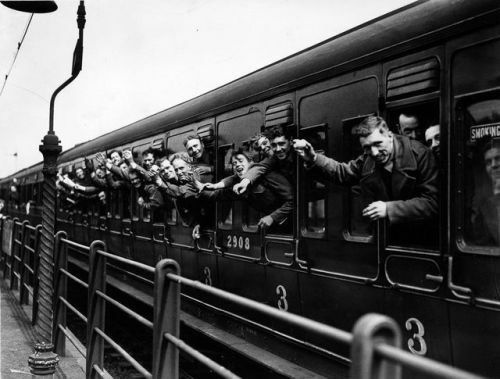 A trainload of British Expeditionary Force soldiers arrives back in London after being rescued from Dunkirk, June 1940. 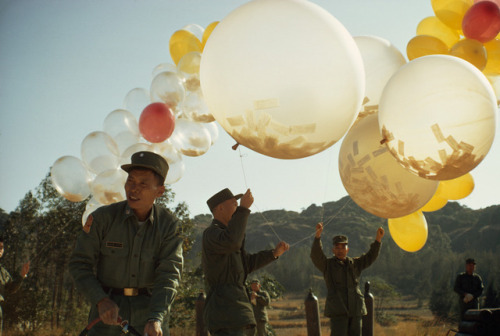 To spread political views, soldiers release balloons holding leaflets in Taiwan, January 1969. 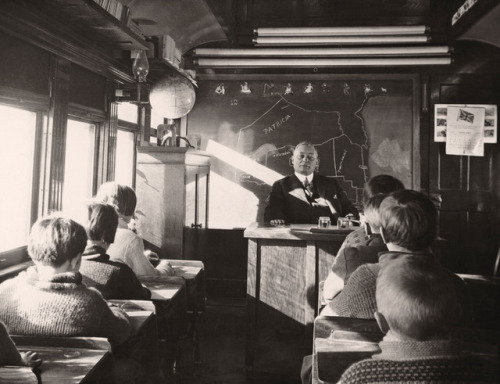 School being held in a converted train car, Ontario, Canada, 1932. 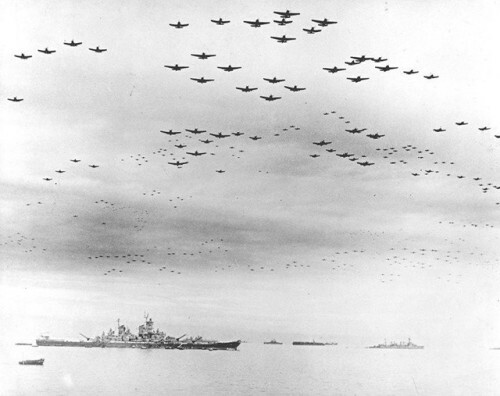 American aircraft fly over USS Missouri after the surrender 1945. 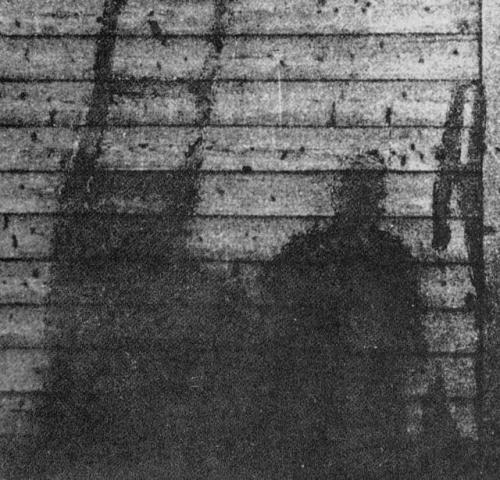 Hiroshima Victim’s Shadow Burned Into Wall By The Blast. August 6th, 1945. 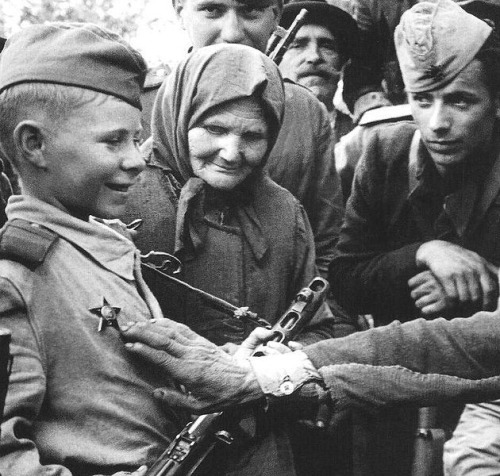 Child Soldier in the Soviet Union, 1943. 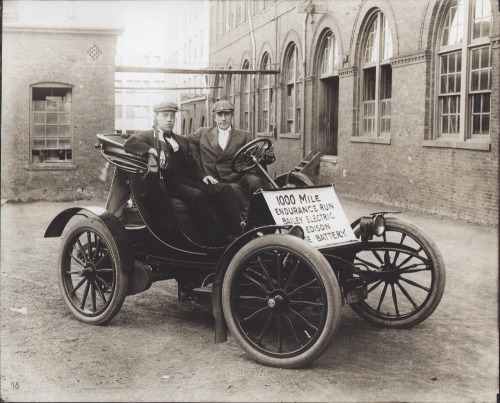 Bailey Electric Vehicle that competed in a 1,000-mile endurance run using Edison storage batteries - 1910. 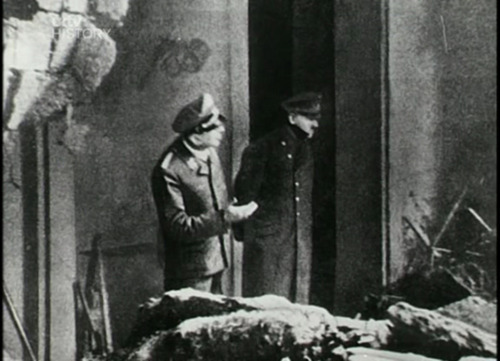 This last known picture of Hitler, taken approximately two days prior to his death as he stands outside his Berlin bunker entrance surveying the devastating bomb damage of the city - April 1945. 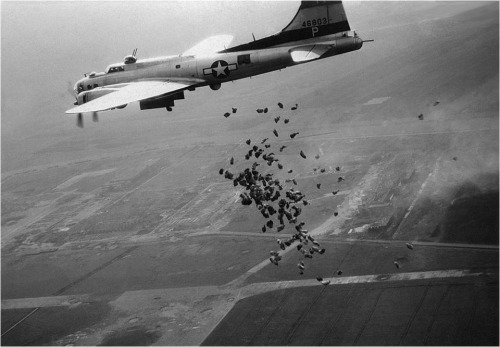 American B17 Drops food over Schiphol Airport during operation Chow Hound, 1945. 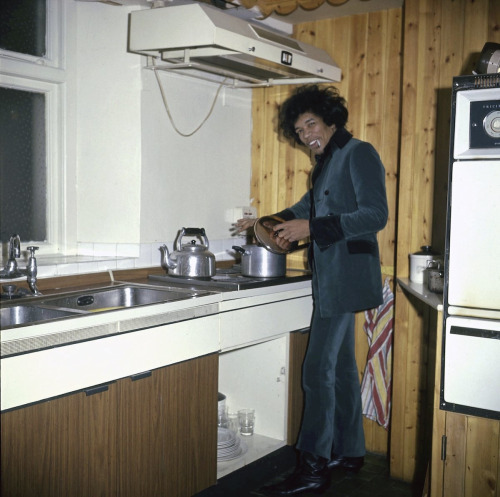 Jimi Hendrix in his kitchen at 34 Montagu Square, London,1967. 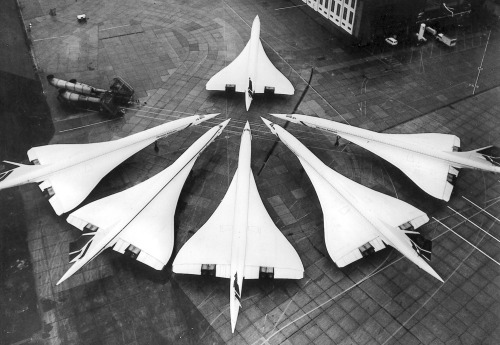 The entire British Concorde fleet in one picture at London’s Heathrow Airport; January 21, 1986. 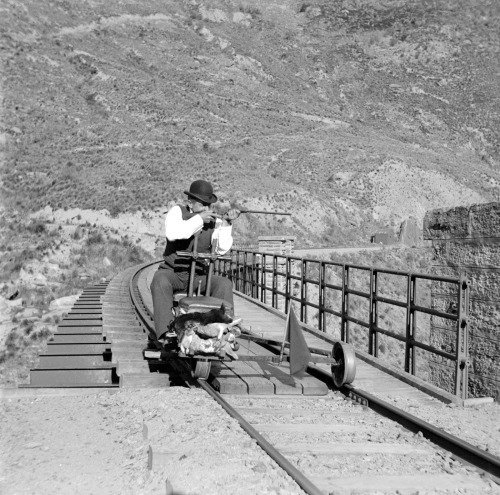 Rabbit hunting on the Otago Central Railway on the South Island of New Zealand, ca. 1900. Future first President of the Russian Federation, Boris Yeltsin, as a young man - Date Unknown. 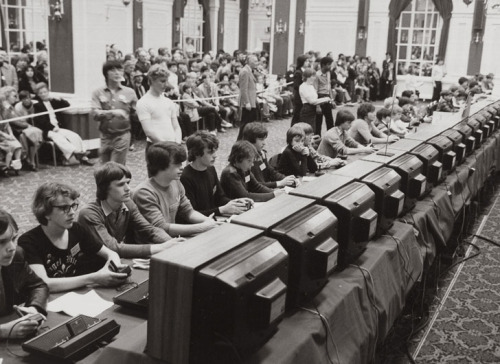 Atari’s National Space Invaders Championship in 1980. Stereo-graph view of a tornado as it passed just northwest of Garnett, near Central City in Anderson County, Kansas. 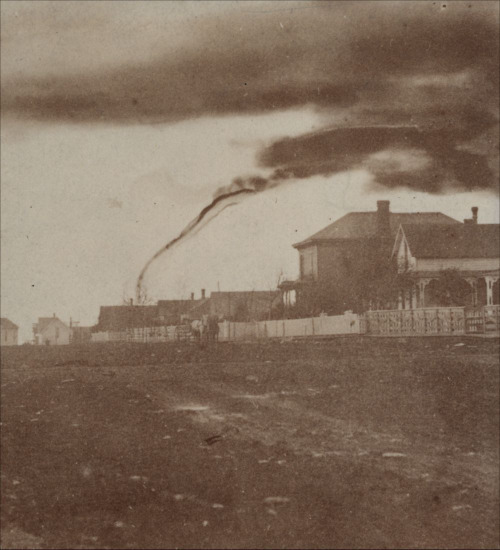 This image is believed to be the first ever photo of a tornado - Photo by A. A. Adams - 1884. 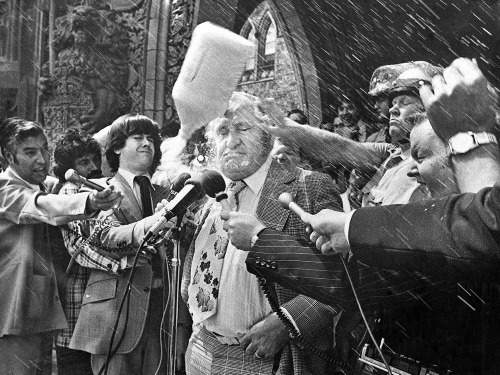 Canadian Agriculture Minister Eugene Whelan is hit by a milk jug thrown by angry Québec farmers after the cabinet refused to approve subsidies to compensate farmers in a collapsed world market - 1976. 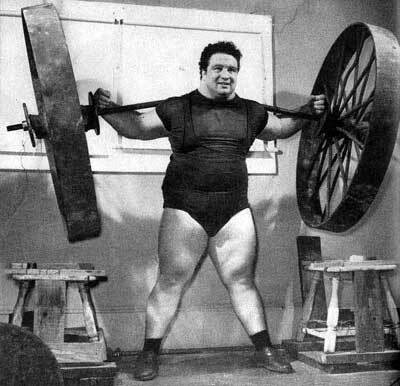 Strongman Paul Anderson back-lifting 6,270 pounds, the greatest weight ever raised by a human being - 1957. 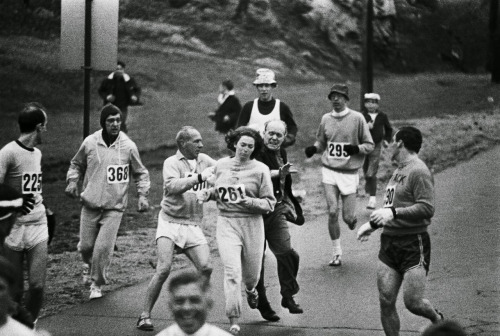 A race organizer attempts to stop Kathrine Switzer from competing in the Boston Marathon. She became the first female to finish the race - 1967. Manmade Corium Lava “The Elephants Foot” Spilling From Unit 4 of the Chernobyl Nuclear Power Plant April 26, 1986. Netherlands liberation! 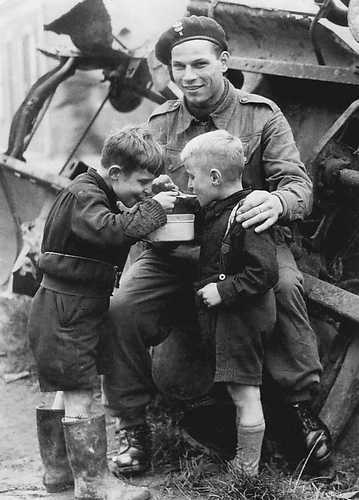 A soldier shares his food with two Dutch children - 1945. 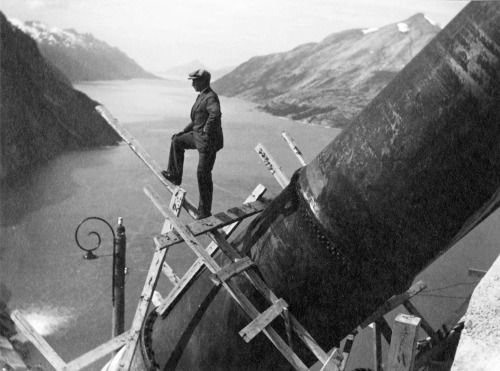 Construction photo during the construction of Glomfjord power plant in northern Norway - 1918. 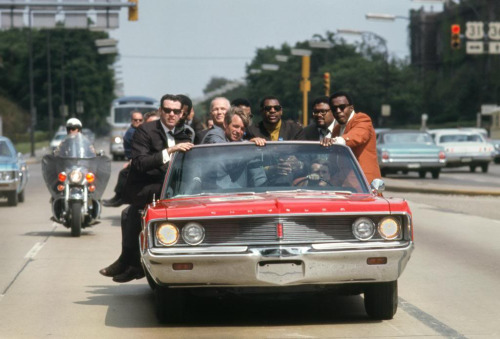 Robert F. Kennedy campaigns with former prizefighter Tony Zale and 3 members of the “Fearsome Foursome” of the Los Angeles Rams football team in Indianapolis, 1936. 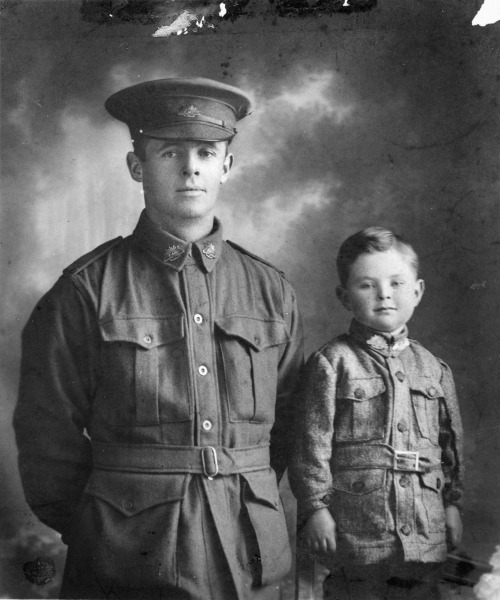 Portrait of Sorrow - Australian Private Walter Henry Chibnall of the10th Light Trench Mortar Battery and his son William Beresford Chibnall in 1916. Walter was killed in action at Passchendaele, 1917. 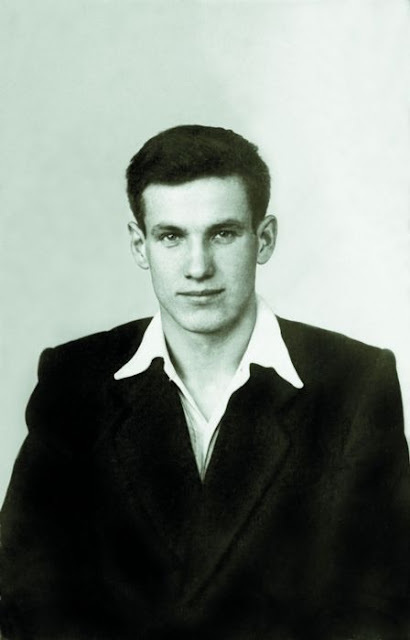 His son would enlist during WWII and die in Japanese captivity in 1942. 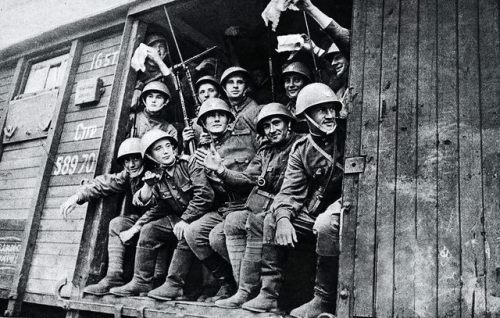 Free French Foreign Legionnaires assaulting an enemy strong point at Bir Hakeim. 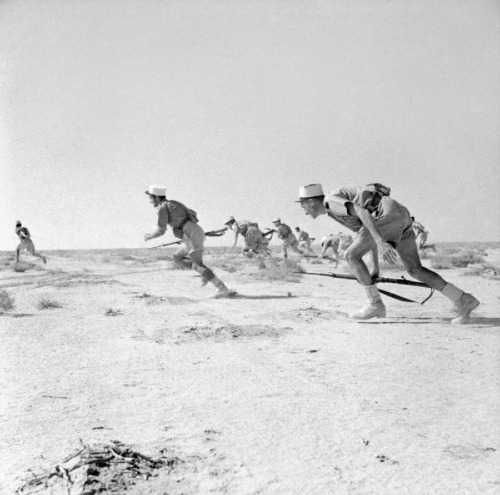 North Africa, 1942. 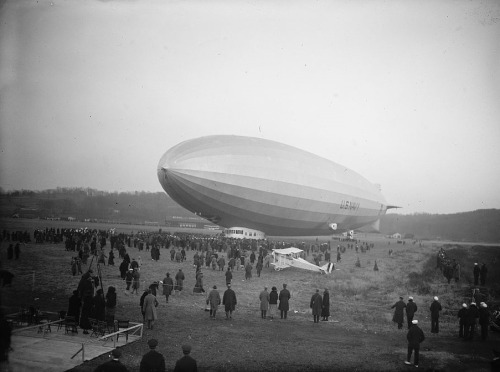 Christening of the Zeppelin “Los Angeles” at Bolling Field, Washington D.C. / 1924. 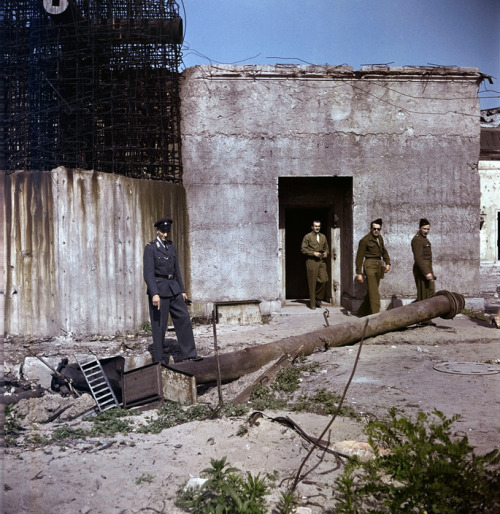 A German policeman points to the pit in the garden of the Reich Chancellery where the bodies of Adolf Hitler and Eva Braun were cremated by their staff, 1947. 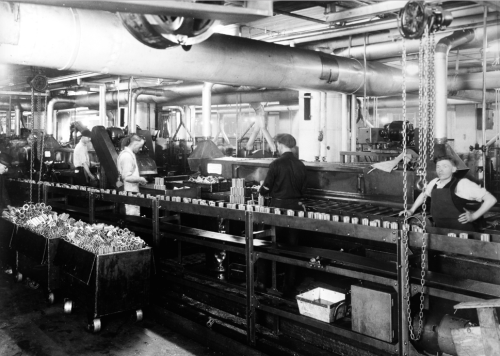 Ford Model T Assembly Line, 1924. 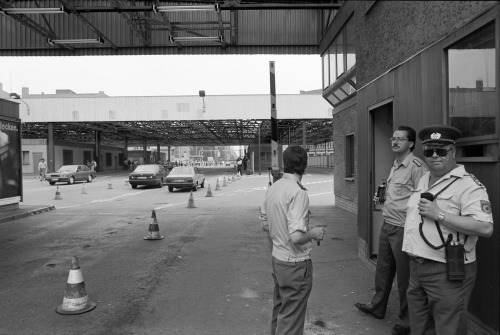 The last day of Checkpoint Charlie, gateway between East and West Berlin, following the fall of the Berlin Wall, 1st July 1990. 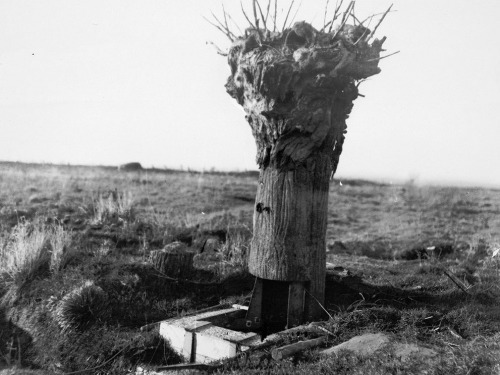 A fake tree used as an observation post during WWI, circa 1917. 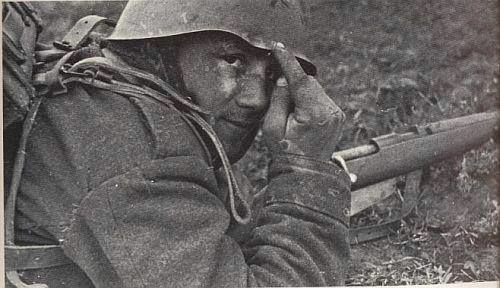 Italian soldier on the Eastern Front points to the spot where a bullet or ricochet hit his helmet, 1942. 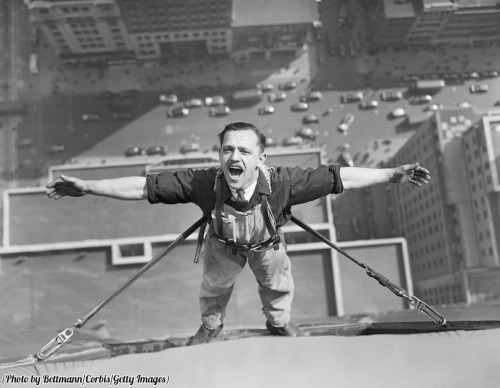 Window washer on the Empire State Building, 1936. 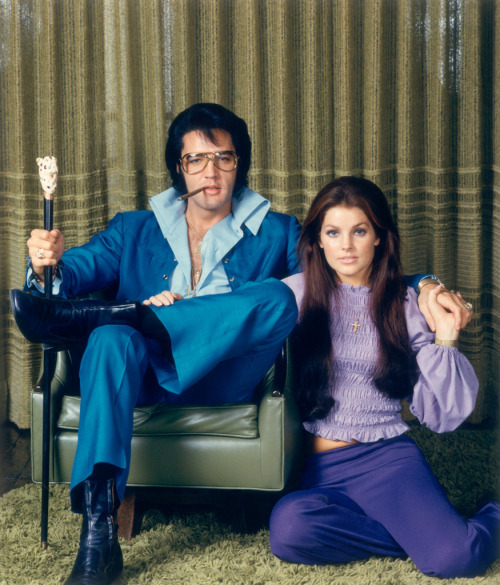 Elvis and Priscilla Presley in Graceland, Memphis, Tennessee, 1971.